Best Books For Young Girls? Is this a thing for little girls? I’ve mentioned this a few times in the past, but growing up, I was never a girly-girl. I imagine that this has less to do with my inclination to “girly” things, as it does with the fact that I didn’t really have the means/relationships/security to develop that aspect of myself. I spent a great deal of time by myself, and my volatile family situation made it hard to make friends, or meet people outside of my immediate family. When I was in my late teens/early twenties, I brushed this off as an inconsequential fact of my childhood. Would I really ever care that I didn’t get the “typical” girl experience? And wasn’t I better off for not having that whole gender-identity thing shoved down my throat? Yes…and no. Here I am now, inching towards my twenty-ninth birthday (which is about a decade longer than I expected to live), married, and with a daughter of my very own. And it wasn’t until I was married and had a child that I started to get the feeling that I was missing something. I could go on and on about my perceived deficiencies, but that’s not the point here. The point (yes, there is one!) is that I don’t know what books to make my kid read. Can you believe it? Four paragraphs of background, just to solicit book recommendations? Before you yell at me, hear me out: My Friend Flippa? (Flicka? ), American Girl? Something about a Prairie? Anne of Green Gables? Something about a black horse? These all sound vaguely like book titles to me, and if I reach for it, I feel like they’re typically associated with little girls. Am I right? I know there’s a whole sea of wholesome, little-girl books out there, but I have no clue–not a clue–where to start. I figure, if you all can give me some recommendations, I can begin reading through the list, and have them ready for Ellie when she’s five or so. So, if you’d like to help a sister out, please leave your favorite little-girl book recommendations below. I’m partial to stories about courageous women who make huge sacrifices for the betterment of others, and stories about girls who overcome adversity and make an impact those around them. I like stories about hard work, and struggle, and when the characters get excited about things like “going into town” or “playing in the crick,” but I’ll read whatever. 🙂 Thanks for your help! And I’ll let you know what I think as I read through them. Yes! Thanks for the confirmation. I might pick up a cheapo copy on my Kindle and read it over the weekend. I’m really enjoying slowly reading through your blog, btw! Im not and never was à little girl. But if you are looking for a brave girl in a childerens book you can read: Mathilda from Ronald Dahl. All books of Dahl are great. I’m not sure about how old you have to be to read them. But they are great. I guess my favorite books are all from Ronald Dahl. I know I’m not a girl. But if you look for a brave girl book you can read Mathilde. Have fun with it. Love to see you youtube blogs. 1. Have you ever blogged in more detail about your home life growing up? I don’t want to be nosy into private stuff, but I would be interesting in reading more if there is more to read. 2. “Regular vaccination schedule” — Excellent answer! This is the second rec for AoGG that I’ve gotten, so I think I’ll read it this weekend. And can you believe I thought Little House on The Prairie was strictly a TV show? I’ll read those, too. And Little Women has been on my own personal reading list for a while. I feel like every woman NEEDS to read that book. Thanks so much for your input! And if your wife has any ideas, throw ’em my way! 1. I have done a few videos regarding my home life growing up, but I haven’t been too specific. I have about 15 drafts on my blog about that stuff, but every time I go to publish one, I get scared. There’s a lot there, and I want to be very careful in how I choose to share it. So, in short, yes, there’s more to read, and yes, I plan on sharing it. I just want to do it all justice, and make sure I give myself space and time to be comfortable sharing my experiences. 2. I never knew vaccinations were a controversial issue until I became a mother. SO many things about parenting are controversial that, from the outside, don’t seem like they should be! The classics may be a bit involved for young readers. Children’s attention spans are short; they should get something out of each page. Your focus should be on Illustrations! After all, a picture is worth a thousand words. Some artists can cultivate a child’s imagination far better than many an author. First and foremost check out Anthony Browne’s work. I dare you not to burst out laughing while perusing “Willy the Champ”. Then there is the Peanuts series by Charles Schultz. Order “Highlights for Children”. She will love getting her own magazine in the mail like the grownups. I suggest turning on “closed captioning” on all TV programs, and subtitles for all DVD shows. You will know when she is ready for something more substantial. When she is ready, she will be more interested in reading books that she picks out herself, from either the store or a library. P.S. That thing you mentioned that you were missing, was probably “Willy the Champ”. Reading it should make your childhood complete. I have a boy and a girl, and when they were really little (1 to 3), I read them “If You Give a Mouse a Cookie” and the other similar books by Laura Numeroff. I just finished reading my daughter (4 yrs) a book called “Purplicious” by Victoria & Elizabeth Kann. It’s about a girl dealing with bullying and learning to love herself and finding true friends. One more I liked was “Happy to be Girls” by Jenny Matheson. These are all for young girls, with lots of pictures and just a few sentences per page. I love books. I have two (grown) sons and a daughter and we read a lot, a lot. I should ask them what they remember. But because my kids are 4 years apart I found that they can all listen to almost anything at varying levels of understanding and enjoy it. For picture books, I love Patricia Polacco (Mrs. Katz and Tush never fails to make me cry) and Kevin Henkes (Chester’s Way and other Lily books) , and Steven Kellogg (we happen to love Pinkerton. My daughter and I read Momma, Do You Love Me, until she had it memorized. I taught elementary school and I used picture books in all grade levels. For reading aloud, The Chronicles of Narnia are my first choice of all books–read in the order they were written. The girls are as brave and foolish as the boys and they all need Aslan. Ella Enchanted was a book that Kate and I read and loved, but don’t watch the movie. The BFG has Sophie, a brave and resourceful young girl, it too is one of my very favorites. I could go on, but I won’t. As a child growing up in the 60s I read everything and I had a loving mother and a good family. I still didn’t have dreams of weddings, babies, or houses, but when they came, I loved each phase. It’s kind of nice, it takes the pressure off. Your daughter will be blessed. Fancy Nancy and Gigi Gods Little Princess are good for little girls. Amelia Bedelia, Mataline, and Ramona are good beginning readers. I havent read these in years but have wonderful memories of my mom reading Gone Away Lake and The Orphan Train series. Reading with your little girl is going to be such a special experience! My favorite thing about childhood. Enjoy! … Man, was I a reader. For pre-teens, tweens, and teens- The Christy Miller Series by Robin Jones Gunn (along with several of her other books). For teens and young adults- The Barn by Jennifer Rivera-Ramos http://www.AuthorJenniferRiveraRamos.com !! Both Christian authors, with amazing stories that encompass well-rounded, moral, characters!! I hated reading… until I found the right book at about age 9, and since then I haven’t stopped! I am absolutely crazy about “classics” – rarely buy a modern book as they seem superficial and badly written to me; as if the author had to churn out as many as possible in the shortest expanse of time! Some definite favourites are the Anne of Green Gables series (8 in total – hope you have started it already?) 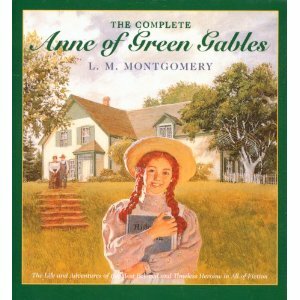 as well as LM Montgomery’s other books – really excellent reads. Then Little Women (also a series) and Louisa May Alcott’s other stories. Susan Coolidge’s What Katy Did series (5 books), Eleanor H Porter’s Polyanna (Miss Billy for a bit older), Frances Hodgens Burnett’s Secret Garden. As a teenager, I enjoyed the Jane Austen and Georgette Heyer Historical Novels – Romance Novels without being soppy, ridiculous or smutty! I am South African, so also have many favourite Afrikaans series, but unfortunately not translated in English.